It’s time to highlight a new and very handy reporting feature available to all merchants as of today. Recently, we have had a handful of merchants ask to see data in reports related to the coupons used by affiliate-referred customers as a way to judge the proliferation and effectiveness coupon usage. 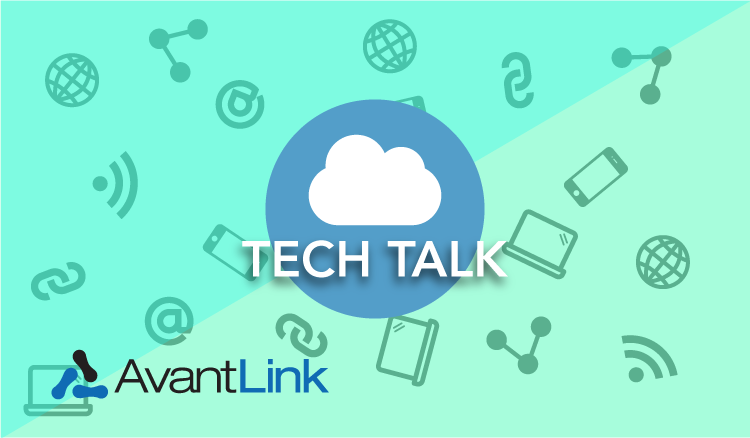 We’ll get into where this data can be viewed in reporting momentarily, but first, to use this functionality, merchants must be able to pass this data back to AvantLink as a custom parameter in order for us to display it. To set up this custom parameter, take a peek at our integration documentation or reach out to our happy-to-help support team who really are happy to help. Go on. Try them out and see. What Report Shows The Coupon Data? Coupon usage data is shown in the ‘Sales/Commission (Details)’ report. If you don’t know already, this report lists all individual sales made in whatever time period you select with details for each sale like commissions, item details, campaign/tool info and now coupon codes used with the sale. It’s a lot of data and a lot of fun (if you’re a marketer and define fun as looking at reports). By default, the Coupon Code column pictured above does not show in the Sales/Commissions (Details) report as many merchants do not pass the coupon code data. 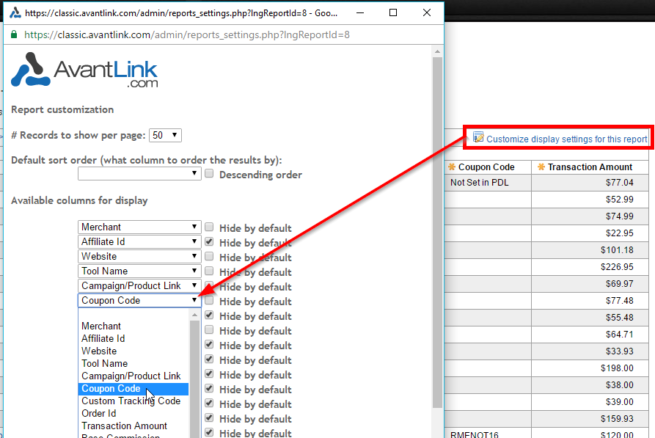 To get this column and data to show, click the “Customize Display Settings For This Report” option at the top right of the report’s data. From here you will be able to select what data columns you would like shown in the report, including coupon code usage. (Pro-tip: this type of intense data customization is available for every single report you can run in AvantLink). If you have questions about setting up this report or the merchant-provided parameters needed to power the coupon code data in reporting, let our support team know and we’ll get you sorted out with an answer ASAP.